Showa-era bishoujo illustrations of pretty dolly, princess, lavish Sunday dress, wedding dress, kimono, etc. This is a selection of personal favorites created between 1985-1992. 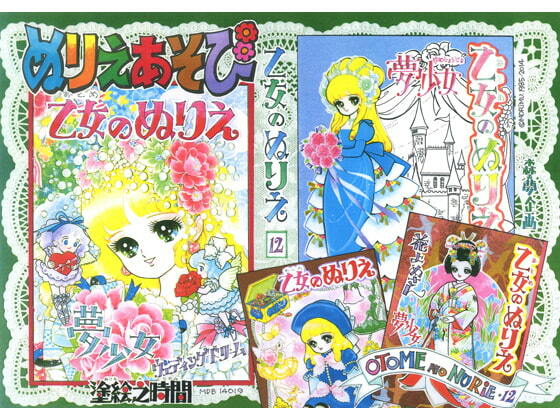 Vol.2 is four titles, just like vol.1 (OTOME NO NURIE 7). Includes paper craft, gift pack, letter set wallpaper. Please note illustrations are selected from past works by MORiMU.